As exciting as the road ahead in 2016 looks, it is crucial to look back on the past year and review our past challenges and successes. It seems every January we have been fortunate enough to be optimistic about the volume of opportunity in front of us and yet, we sometimes turn a blind eye to reflect on what we have done to get us to this position and identify what changes we need to make to better ourselves for the future. UmbrellaOne’s biggest asset will always be our team members. No matter what investment we make in software, infrastructure or other facets of our business, the challenge to attract quality people will ultimately determine our success or lack thereof. In 2015, we demonstrated an ability to attract honest, dedicated and experienced new co-workers. At all levels ranging from account managers (Jen Ernst and Carrie McGregor), office administration (Tia Valavanis), and sales (Greg Harmon), to include a new company president (David Pfeiffer). In 2015, we routinely managed to strengthen our performance through the addition of key personnel who share the same set of values as our core group. Second to the staff at UmbrellaOne is our commitment to working with service partners of high character that share our vision of the UmbrellaOne customer experience. Finding knowledgeable, responsive and trustworthy trades is key to our ability to perform and our customer’s overall satisfaction. This continues to prove to be a challenge as we enter new markets and continually review our existing relationships. In 2015, we began relationships with many new service partners that share our view of how to conduct business in a professional manner. Additionally, we continually review the performance of our existing partners and part ways when determined necessary. As with all facility service providers, the deeper the bench of quality trades to call on, the more value and peace of mind you can provide to the client. The final challenge from 2015 was to consistently offer structured and organized services to our clients. We pride ourselves on adapting to each client’s unique culture. All the while, maintaining the experience we aim to provide them with. Remaining flexible to different protocol for each client is a priority that we continually recognize and strive to execute. With all the different work order systems available today and the custom guidelines set by each customer, we find ourselves evaluating our processes to insure organized and structured services time and time again. We remain grateful to our clients who place their trust in us to work with them and their locations. We never take for granted the position we are in and know that we need to always work to earn that next assignment. Thanks again to everyone for a great 2015 and the opportunity for an even better 2016. Wish you all the best. 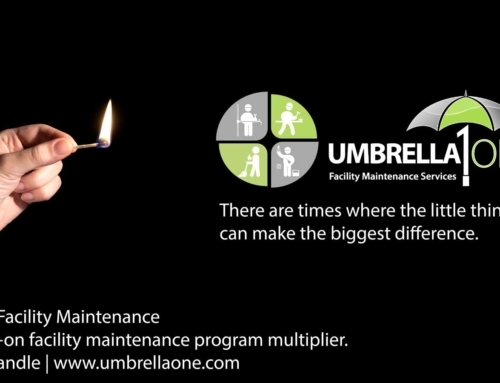 A successful relationship between facilities maintenance companies and their customers can never be an Us versus Them situation. Carbon Monoxide: You can’t see it, taste it or smell it.